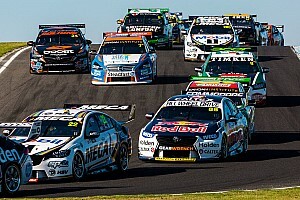 Shane van Gisbergen has called for time-certain finishes to Supercars races to be abolished, and asked for more flexibility from TV broadcasters in terms of start times. 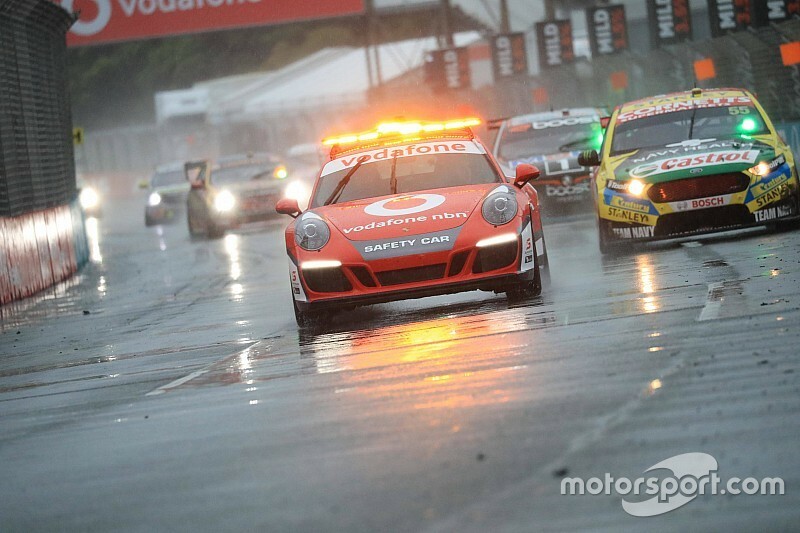 The Kiwi was denied an opportunity to try and reclaim the Supercars lead today thanks to the second leg of the Gold Coast 600 being abandoned due to wild storms that lashed the circuit. Despite two attempts to get through the weather, heavy rainfall and lightning over the circuit precinct left organisers no choice but to call off the race eight laps short of the crucial midway point required to have a result. The race was declared at 4:25pm, 23 minutes before the official time-certain cut-off. 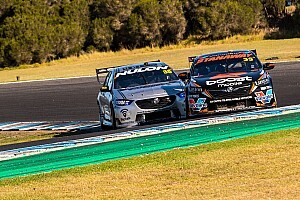 The situation led to van Gisbergen calling for both time-certain finishes and inflexible start times to be binned, the Triple Eight driver convinced that the consistent weather warnings since this morning should have led to an earlier race start. “We have this conversation every time there’s a time certain race," he said. "It ruins it for the fans, the drivers, everyone. Both the hard start time and time-certain finish point exist primarily to help broadcaster Fox Sports schedule its programming, something Craig Lowndes acknowledged in response to his teammate's bold calls. 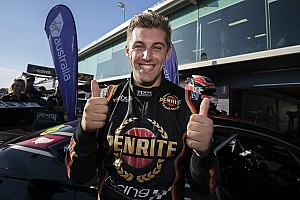 “From what I understand, it’s more the TV world, it’s more important for them to get the right time slot," said Lowndes. "Whether you have to have more flexibility to start the race earlier, from a fan’s perspective probably a good thing, but I think it’s more the fact the TV world." Van Gisbergen's Triple Eight boss Roland Dane had his own gripe following today's non-event, saying organisers should have accepted they'd been beaten by "god and the weather" rather than trying to restart the race to get to the mid-way point. The race was initially red flagged at 3:25pm on Lap 37, before a restart 35 minutes later behind the Safety Car, in an attempt to reach the crucial 51-lap point. It only lasted six laps before being red-flagged again, this time permanently. "Safety comes first, and I don't just mean safety of the drivers, I mean safety of the corner marshals, the spectators, the camera crews out on the rigs and everything," said Dane. "Seriously, Stevie Wonder could have worked it out better. "We need to just accept the fact that sometimes we have to look at the big picture. We have people all over us all the time about OH&S, and quite rightly so most of the time. 'We absolutely need to be a little bit smarter about when it is raining like his and running races. There comes a point where you simply have to say god and the weather got the better of us, and don't be ashamed of it."